Coffee. Espresso. Bagels. Toast. Select local pastry. Falcons at your wrist. The wind in your hair. This is what is best in life. As Ohio City's only multi roaster coffee shop we offer a rotating selection of exceptional coffees from around this majestic countryside. In addition to showcasing whole bean retail bags we also feature these talented roasters in our batch brew and espresso drinks. Passengers has teamed up with specialty coffee roasters and retailers from Downtown Cle as well as Ohio City /Hinge Town /Duck Island. While a traditional punch card rewards repeat customers a disloyalty card rewards guests for visiting multiple small businesses. 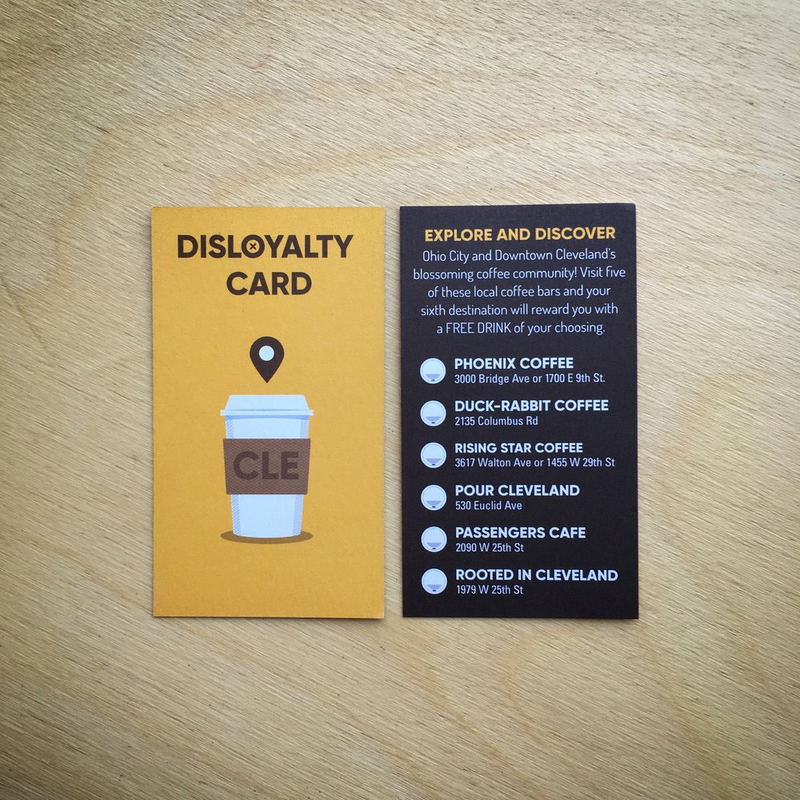 Our disloyalty card is a passport to excellent coffee happening in Cleveland.